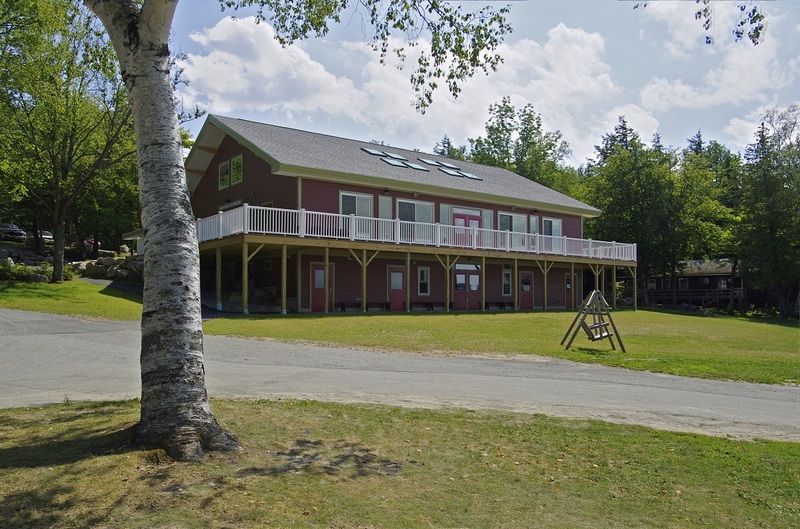 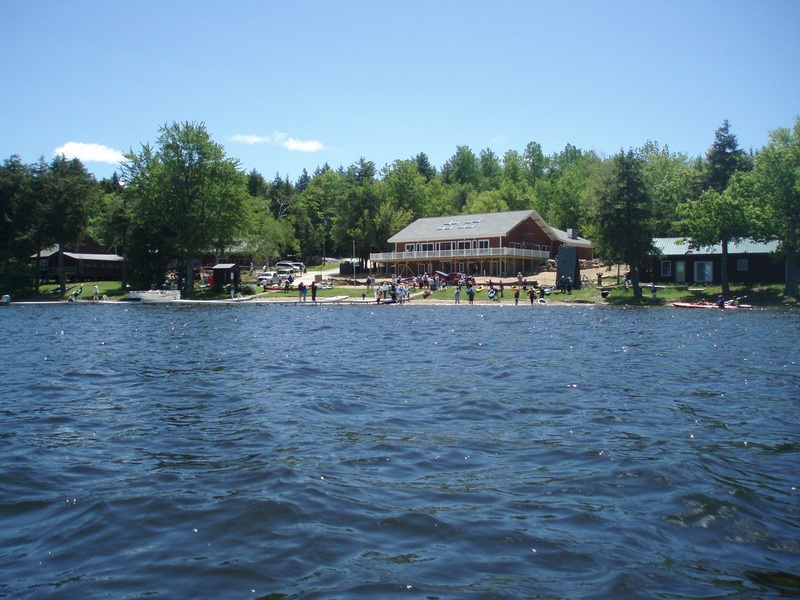 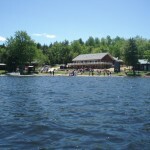 Since 1945, Pine Tree Camp has been utilizing what were original hunting camps along the shore of North Pond as an accessible summer camp for children and adults with disabilities. 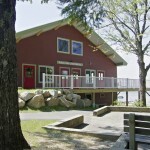 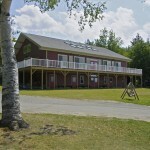 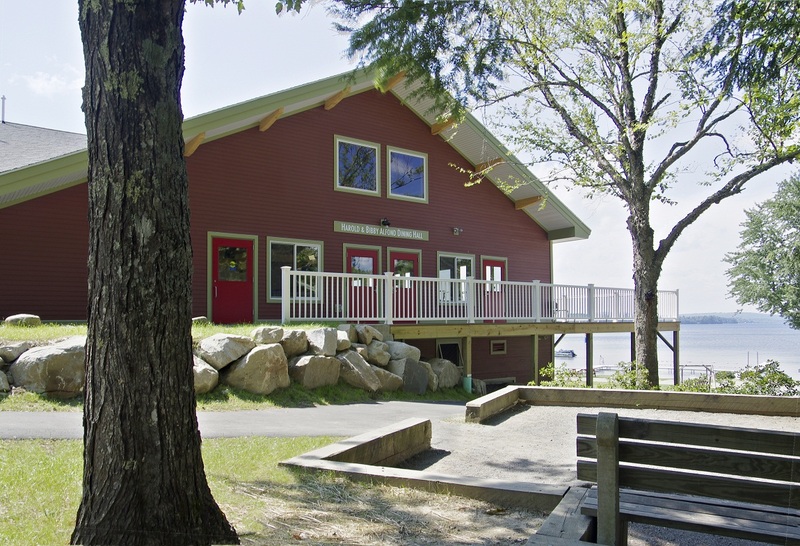 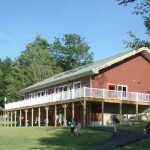 The original dining hall on the site was a seasonal building that was worn from Maine winters, barely met their needs, and limited the camp’s abilities to provide comfortable dining facilities for all campers. 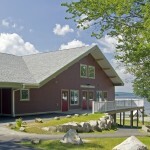 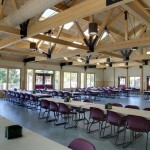 Building the year round Harold and Bibby Alfond Dining Hall at the heart of camp provided the opportunity to exceed accessible design requirements to meet campers’ needs, increase the dining capacity to 225, and create a building envelope that would extend the use of the dining hall during all seasons for additional camp programs. 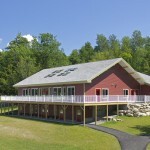 Design elements were incorporated to maximize everyone’s abilities for their own independence at camp. 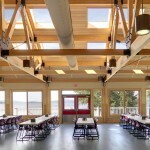 The dining hall integrates materials and details to accommodate campers of all ages’ abilities and mobility devices without detracting from a modern cabin atmosphere. 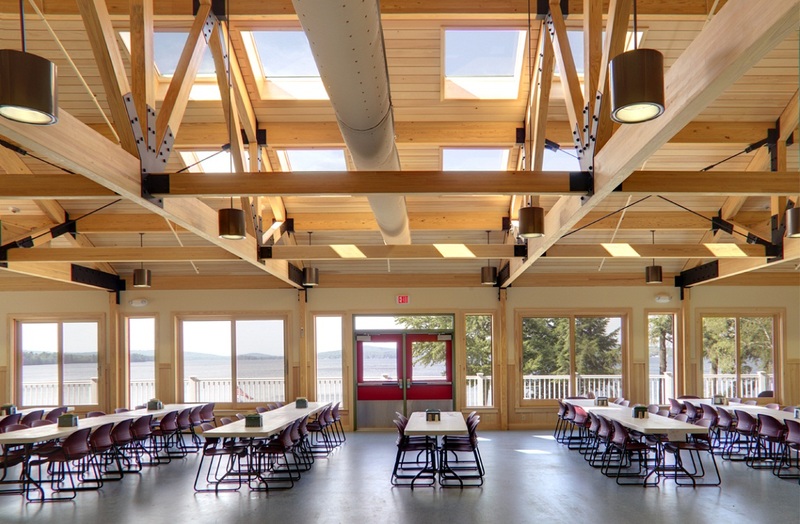 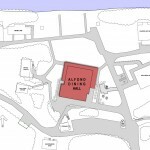 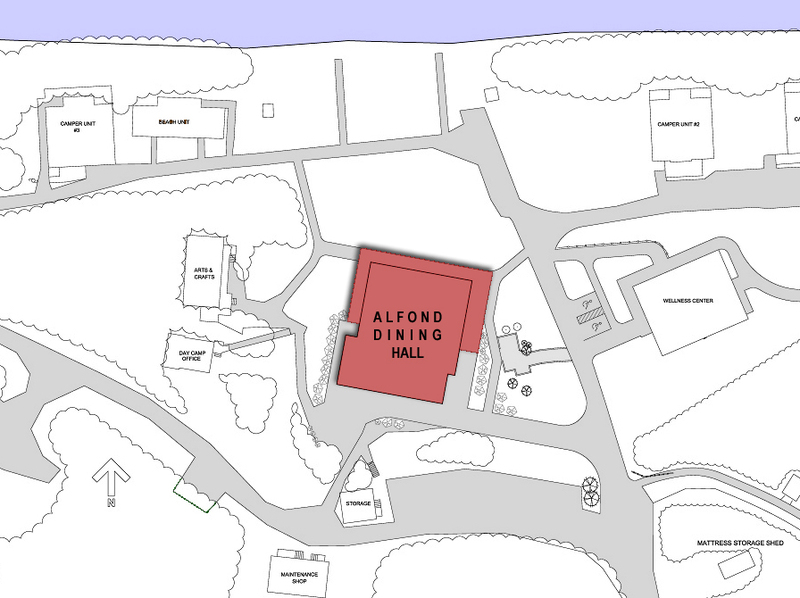 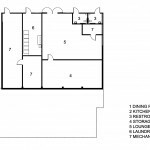 Day lighting opportunities to the north feature the great water view for all diners, allow for reduced summer cooling loads, and the need for added electrical lighting during meal services. 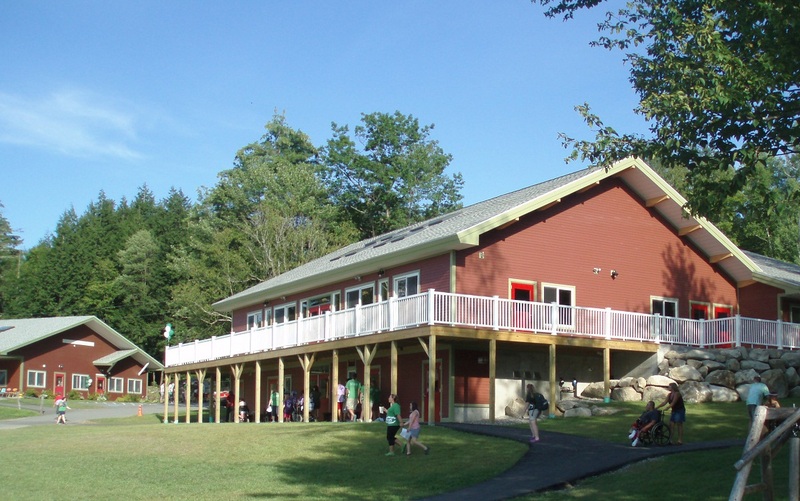 A mechanical ventilation system is available for the more extreme temperature days that are a challenge for campers with specific needs. 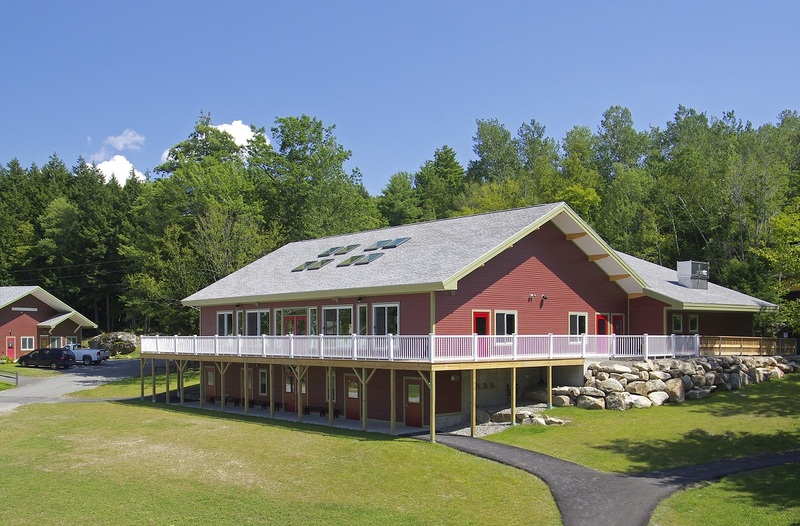 Working with the sloping grade of the existing site allowed the camp to capture additional program space on a lower level that is easily accessible at the center of camp reducing the building footprint and the need to further develop camp property. 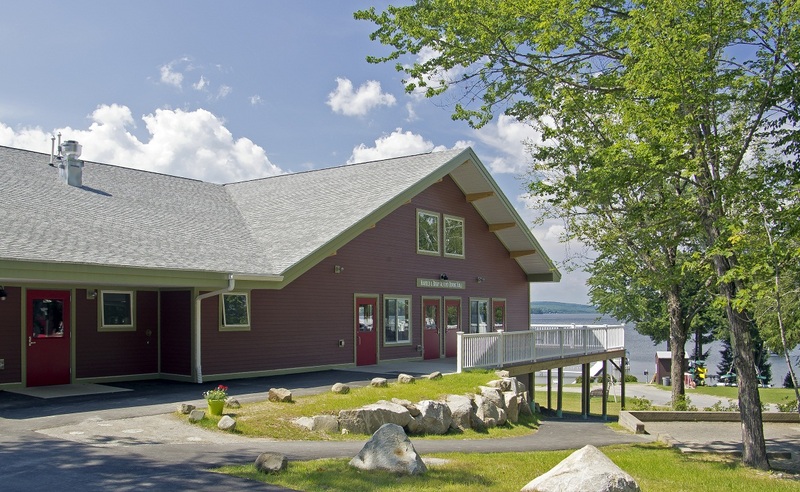 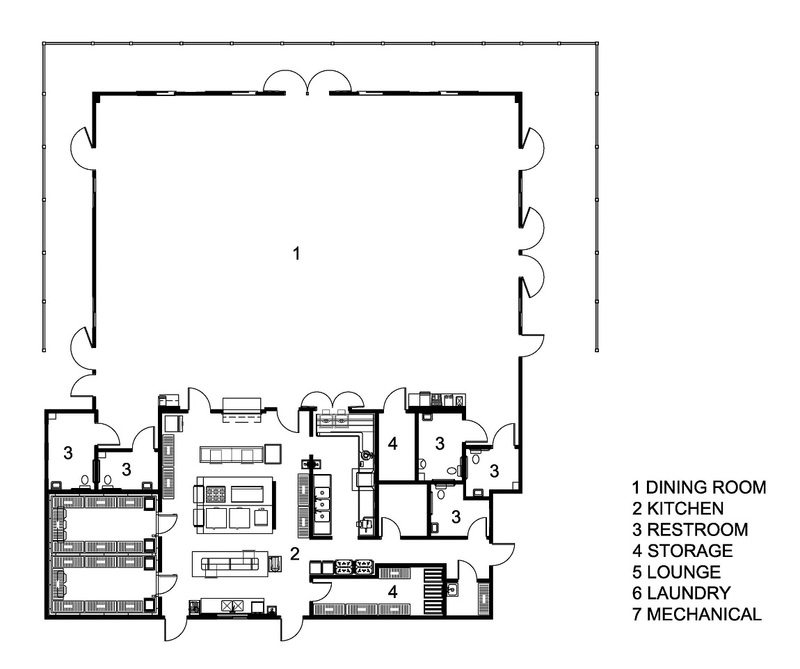 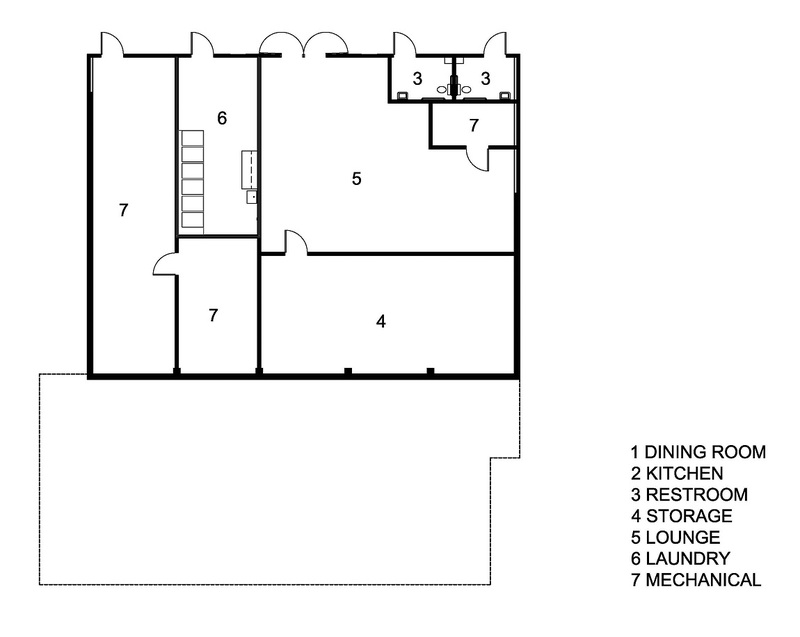 The shaded area below the deck was also created for accessible camper comfort in the open waterfront area below the circulation above. 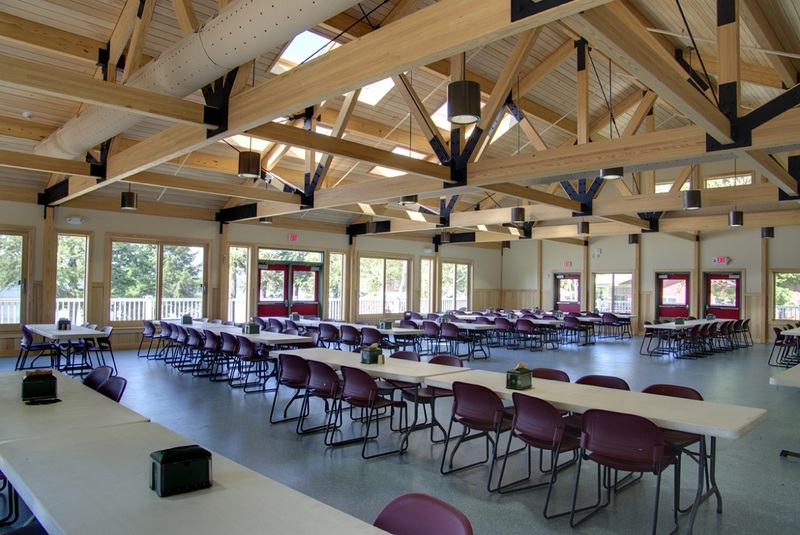 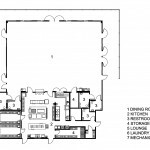 The Dining Hall allows Pine Tree Society to continue ‘Discovering Abilities Together’, while also creating an example of socially sustainable design for everyone.